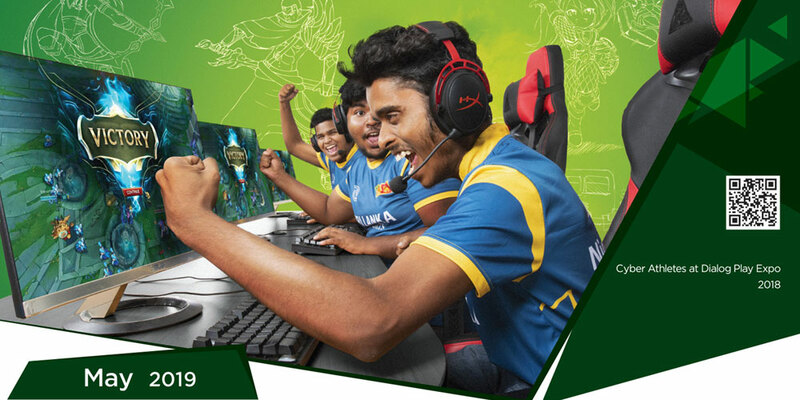 A sign of the times – with Gamer.LK’s consistent promotion of the sport, Esports has secured the position of fastest growing sport in Sri Lanka. 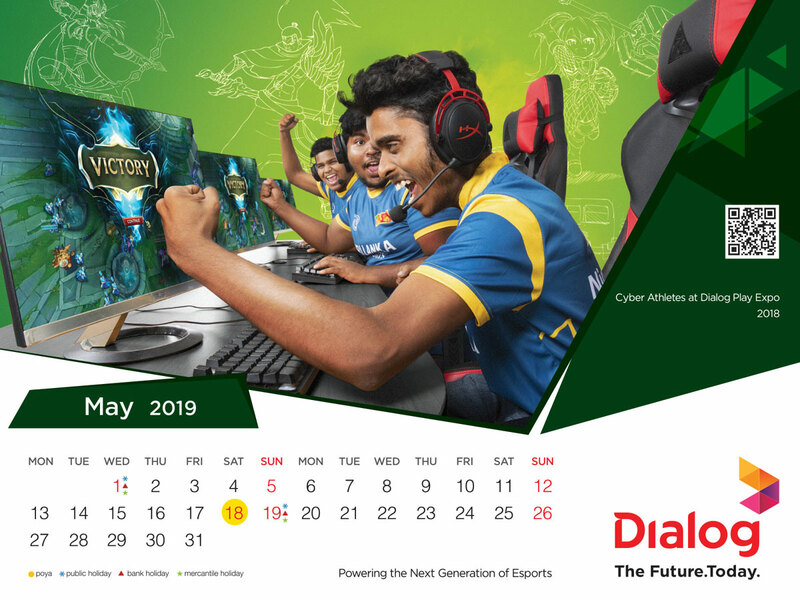 We have another milestone to kick-off the year – the inclusion of the sport in Dialog’s annual desk calendar where we’ve got a May 2019 spot! Gamer.LK worked with the League of Legends national team who represented the country at both the Asian Games and the Esports World Cup in 2018 to showcase a typical Esports gaming setup, with high end gaming peripherals and portraying the electric atmosphere of an Esports match. Dialog is a strong proponent and a prolific promoter of sports in the country, powering many sportsmen and women to achieve their goals. The 2019 Dialog Calendar is a reflection of their passion, determination and resilience in moments of excellence. Seen in the picture are Achintha “Nightmare” Konara, Ashik “ASH” Saleeth and Shalitha “Acelord” Chandraratne. Hilal “Dew” Jismy and Akthar “Blueakthar” Hafeez also contributed to the shoot.